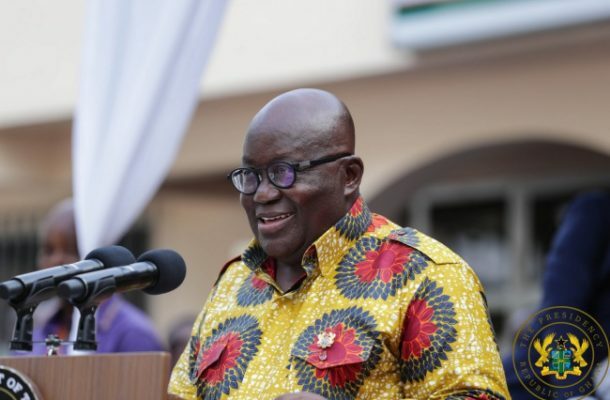 President Nana Addo Dankwa Akufo-Addo is predicting another landslide victory for the New Patriotic Party (NPP) in the 2020 election. The main opposition party, National Democratic Congress (NDC) is yet to pick a candidate represent them in the 2020 elections although Former President Mahama has been tipped by many political commentators to emerge winner of the internal race. The support for the Former President continues to heighten within the party as a group of 96 Minority Members of Parliament, known as MPs4Mahama, have mobilised 603 pledges of GHS1,000 each towards footing the GHS420,000 nomination and filing fees of Mr Mahama. Other aspirants in the flagbearership race include Former Vice Chancellor of the University for Professional Studies, Accra (UPSA), Prof. Joshua Alabi, Nadowli Kaleo MP, Alban Bagbin, the former Chief Executive Officer (CEO) of the National Health Insurance Authority (NHIA), Sylvester Mensah, and Cape Coast South MP, Kweku Ricketts-Hagan, Former Mayor of Kumasi, Kojo Bonsu who have declared their intent to contest for the slot. Meanwhile, the NDC has slated January19, 2019 for the election of its flagbearer for the 2020 presidential election.